In the latest chapter of ongoing issues between Apple and Qualcomm, the latter has won a patent infringement case against Apple in San Diego. A jury there found that the iPhone 7, iPhone 7 Plus, iPhone 8, iPhone 8 Plus and iPhone X infringed two patents, one of which is for “flashless booting” – a technology which allows a smartphone to speedily connect to the internet after being switched on, and which removes the cost and footprint of requiring separate flash memory. The other patent allows apps to transfer data to and from the internet quickly and efficiently by acting as a smart “traffic cop” between the processor and the modem. Additionally, the iPhone 8, 8 Plus and X were also found to infringe a Qualcomm patent that helps improve game performance and graphics while simultaneously improving a phone’s battery life. 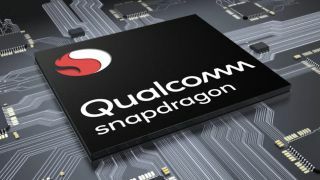 The ruling is a big win for Qualcomm, which was awarded $1.41 (around £1.05 / AU$2) per device for the three patent infringements, amounting to a total of $31 million (roughly £23,368,000 / AU$43,606,000). The win – which follows similar rulings in China and Germany – is unlikely to mean much for consumers. It’s money out of Apple’s pocket but we wouldn’t expect that will lead to increased device costs. What these legal actions do seem to be leading to is Apple looking to move away from Qualcomm’s products and components as much as possible, but that’s a move that probably won’t be noticeable in the end product. So don’t expect this to noticeably affect the iPhone 11 or other upcoming Apple devices.